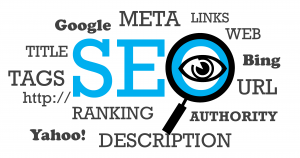 Though people use the terms SEO and SEM interchangeably, the search engine optimization and search engine marketing are two pillars of online marketing. SEM also popularly referred to as pay per click (PPC) or as paid search, is responsible for most business conversions. Unlike SEO which focuses on the application of techniques to maximize the popularity of the website on search engines like Google without having to pay them, the SEM is a practice which involves running paid advertisements of your products on the search engine results pages (SERP) along the side columns. At VRS Technologies, we ensure that you attain only the authentic search engine marketing services in Dubai, UAE. We incorporate the right SEM techniques and practices to deliver the best results. From ideal keywords identification as we understand that keywords are the foundation for SEM, to attaining the top Ad rank, we are a proficient team at VRS Technologies who can help you maximise the conversions. Internet browsers, when they search for a particular product with the intent of purchasing it, search engines like Google, Yahoo, or Bing analyze their true purpose and display the advertisements that are most relevant to their search. Since the customers are already in the purchasing frame of mind, when the advertisement is displayed at the right time in the right place, they grab the opportunity which results in conversions for the advertisers. Select the ideal set of keywords, key phrases or long-tail keywords related to the business. Identify the targeted location for the advertisements to be run on the web. Make a draft of the content-based advertisement expected to be displayed on SERP. Bid on the price, the business is willing to pay for the ads to be run on the SERP. Investing in search engine marketing is considered to be the best form of spending money on online marketing. How do we research for the right keywords for your business? Keyword Discovery: We put our best efforts in identifying the most likely keywords the searcher’s place in the search box for information. Keyword Analysis: Our next step is to identify which are the most successful keywords that can lead to conversions. Further, we remove the keywords which have dubious intent. Keyword Grouping: We filter the keywords which are similar and group them batch wise. How do we target for the best Ad rank? Before we work on attaining the top ad rank, we need to understand how an ad appears on the SERP. There’s a lot that goes into the process before an advertisement shows up on the SERP. Once the keyword search is complete, the next step is to design the ad that is most likely to grab eyeballs. Then, bid for the advertisement to be displayed. Here, at this point, there are many misconceptions in the public that only the highest bidder gets the place on the SERP. However, that is only a part of the solution. While the highest bidder does get the maximum chance of making it to the SERP, there is an ad rank concept which plays a key role in maximizing the chances of the advertisement appearing on the search page. Ad Rank = CPC Bid x Quality Score. CPC Bid: The cost per click is something we have already discussed, the highest amount the business is willing to pay per click to the search engines like Google. Quality Score: This score is Google’s way of measuring the overall quality of the advertisement. It is measured on the aspects like the commercial intent of the keyword, the relevance of the keyword, and the language and quality of the advertisement. The relevance of each keyword in the ad group. The relevance of the ad content. History of your previous ads. Hence, it should be clear by now that not every ad makes it to the SERP. Why choose VRS Technologies for Search Engine Marketing Services? At VRS Technologies, we pay close attention to every detail to maximize the chances of the appearance of an ad on the search engine page. Our goal is to amplify the chances of the business conversions and traffic channeling to your website, by putting utmost effort while identifying the keywords, drafting the advertisement, and maintaining highest standards to win Google’s trust as well as the customers’ confidence in the process.